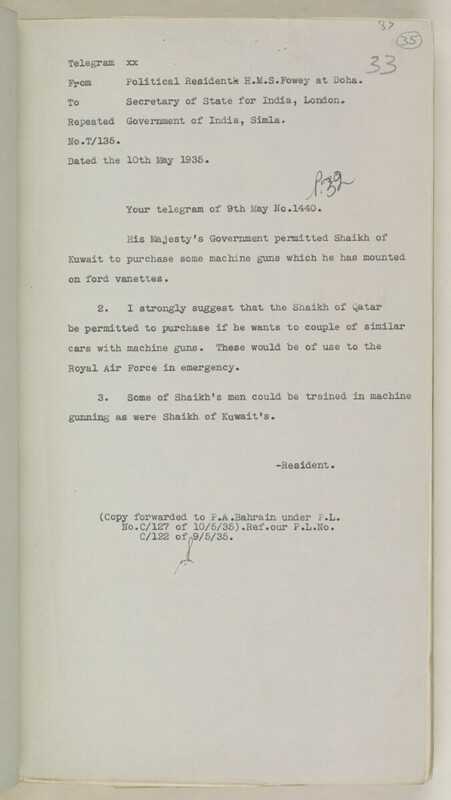 From Political Hesidentk H.M.S.Fowey at Doha,. Repeated Government of India, Simla. Your telegram of 9th May Ho#1440. Royal Air Force in emergency. gunning as were Shaikh of Kuwaiti. No.C/127 of 10/ 5/35)• Ref•our P.L.No.